Everyone knows that there is a limited supply of fossil fuel left on Earth and this may pose a big problem in the future. This issue is not only a major concern for the big corporations and businesses, but is also affecting the masses too. With the recent energy price hike, people are now looking for alternative energy sources to keep their bills to a minimum. Businesses are also looking for alternate sources of energy as a backup power source in case of blackouts. There are many alternative sources of energy and some have even taken the liberty of turning it into business, which is quite convenient for home owners. There are many types of alternative energy sources to choose from. Just take into mind that these energy sources need specific type of instruments for effective usage. If you are looking for an alternate energy source, make sure to consider if you have the time and the resources to afford such an endeavor. If one looks at the Internet today, there are a lot of private individuals or companies who are into selling solar panels and materials needed to construct a DIY solar energy kit. It’s very common and is also the easiest form of alternate energy to access. One can easily place a solar dish on the roof of a house and when the sun hits the solar panels, it creates power for the household. The price tag for each solar panel kit varies, depending on its size and the amount of power the panel generates. Carbon power plants owned by successful companies are offering their services to residential areas that want to use alternative energy. Considered as natural gas, it is very safe and effective. Most companies have power stations placed in every region, so if you wish to get this kind of alternative energy, check to see if your area is included. However, the issues regarding hydraulic fracturing have made people look at natural gas in an unfavorable way. As a result, natural gas companies are looking for other ways to harvest the gas without causing more harm to the environment. 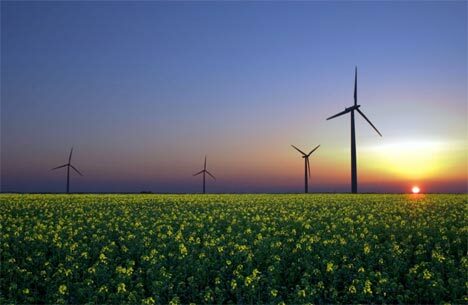 Wind power is another type of alternative energy that can be used for both residential and business purposes. One would have to build a wind vane in order to harness energy. Again, there are lots of companies that offer wind vane sales and installation, so always make sure that you do have the resources to afford it. Additionally, make sure that the area where you are going to use the wind vane . For agricultural areas, small hydroelectric dams provide alternate energy sources used for machineries, but these are expensive to build. In big agricultural farmlands, farmers usually apply biogas as an alternate source of energy. However, biogas is only applicable in the rural areas and not in urban areas where crowds of apartments or houses are built near each other. For residential purposes, people would choose to contact companies that offer private energy services since these are easier to get in touch with and also, there is no need for you to buy anything or build anything. In times like these, using alternative sources of energy is the answer for low energy costs and helping conserve what little energy that is left on our planet. I disagree. Biogas is applicable in many many more places than just rural communities, in fact, its an excellent way for rural communities to not only make themselves more energy dependent, but to also bring in an excellent source of income from the outside communities. It is my understanding that biogas is produced primarily during the gasification of biomass via either pyrolysis or anerobic digestion. It is the case of the latter (a.d.) that we get ethanol. Even with their horribly less efficient ways, corn farmers have proven that biogas produced from corn is a great way to create a viable product from their crop. If you switch that to even more efficient crops like switchgrass or miscanthus you get an even higher EROEI. If you switch the gasification process from anerobic digestion to pyrolysis you create an even higher EROEI in that the pyrolysis process produces a gas that requires much less energy input to convert it to a usable form in that the syngas produced from the biogas is capable of burning as a substitute for natural gas. This gives the biogas producers the capability of burning the biogas (as syngas) as a substitute for n.gas and transporting the energy via electricity into more urban areas or piping or shipping in (via rail or even truck if necessary… or via boat if water access allows) the gas to a city or surrounding communities where it can be used as a substitute for or blended with natural gas and applied towards n.gas’s typical applications (electrical production, hot water heaters, even internal combustion engines for transport where such vehicles are available). Biogas is very useful all over, not just in rural communities and, in my opinion, it being a product of solar, is a more efficient utilization of solar than photovoltaics or solar thermal in that, of the three, its the only one that has the potential to actually be carbon negative… if the gasification via pyrolysis is such that it produces a biochar byproduct. Thank you for your comments. Indeed, I surely wish that our government would invest more on researching alternative energy rather than waste resources and money in making weapons. World needs a clean, biodegradable, water-soluble ALCOHOL fuel that can power all types of internal combustion engines and that is profitable to produce from society’s solid, liquid and gaseous wastes. There’s only one: higher mixed alcohol fuel.